A family that has been with Spectrum Designs since the very beginning is being honored on Thursday. 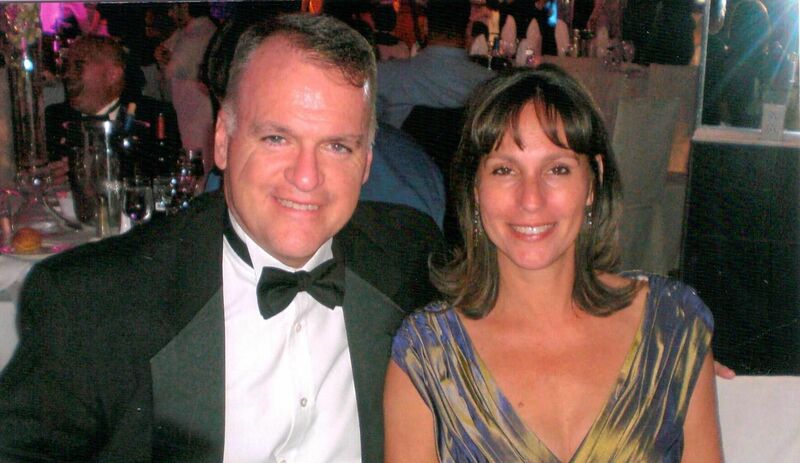 Spectrum’s eighth annual Night in White honored Steve and Lori Scrobe of Manhasset for their contributions to the Port Washington-based organization that employees and assists adults with autism. Since he was 5 years old, the Scrobe’s son Billy has known Spectrum co-founder Stella Spanakos and her son, Nicholas. Billy was among the first to work at the Spectrum Designs Foundation when it opened in 2011, said development manager Lee Anne Vetrone. Lori Scrobe said they became involved with the program because it provided a purpose for Billy. She said that Spectrum is an “outstanding example” of how to provide employment opportunities to adults with special needs. Lori is a realtor at Daniel Gale Sotheby’s International Realty. In addition to fundraising and volunteering for Spectrum, she previously worked with Munsey Park School, Girl Scouts and the Faith Formation Program at St. Mary’s Church in Manhasset while her children were growing. Her husband, Steve, is an investment banker with Oppenheimer and Company and has helped to raise funds for the Autism Speaks Walks at Jones Beach. The couple married in 1987 and have three other children in addition to Billy. Since opening in 2011, Spectrum Designs has created clothing for the Town of North Hempstead, Google and Comedy Central. Originally operating out of a barn on property owned by Spanakos — who founded the organization with Nicole Sugrue and Patrick Bardsley — it moved into the Community Chest of Port Washington, before moving into its own building in Port Washington earlier this year. In addition to growing in size, Spectrum has grown in the products it offers. Spectrum Bakes allows adults with autism to create edible gifts, while Spectrum Suds provides laundry service. Currently, 75 percent of Spectrum’s employees are somewhere on the autism spectrum and the company said it has projected more than $2 million in sales next year. The Night in White is an annual gala held by the organization to raise money for various programs and honor those who have contributed to Spectrum. Past honorees included former state Sen. Jack Martins. The goal for this year is to raise $155,000 through the event, Vetrone said. The event will feature speeches from the honorees and Spectrum leadership and live music, according to a press release. Additional donations will come from raffle baskets, a silent auction, and a live auction.